World Cup preparation doesn’t get much worse than sacking your coach a day before the start. Will a Spain group stage exit follow the dismissal of Julen Lopetegui? Lopetegui was confirmed as Zinedine Zidane’s successor at Real Madrid on the cusp of the tournament. The disruption was so severe that the RFEF – Spain’s football federation – decided to sack him before their opener against Portugal. The odds on a Spain group stage exit being the price they pay are 11/2. There are several reasons to believe it’s a smart bet. In Portugal, Morocco and Iran, Spain are paired with the reigning European champions and Africa and Asia’s outstanding qualifiers. La Furia Roja lost their first match in 2010 and 2014 and kick off this time against Portugal. Fernando Santos’ side have conceded just one goal in four meetings with their neighbours. If Spain begin with a defeat again, they’ll find themselves chasing goals against two of the best defensive performers in Russia. Morocco didn’t concede a single goal in six qualifying group ties, shutting out Ivory Coast twice. Iran have kept 12 clean sheets in 13 competitive fixtures and went 180 minutes without leaking during World Cup 2014. In Julen Lopetegui’s successor Fernando Hierro, Spain will have by far the least internationally experienced manager in World Cup Group B.
Portugal boss Fernando Santos has been to three senior tournaments. He never failed to get through the group stage, even with Greece at Euro 2012 and World Cup 2014. Morocco coach Herve Renard is arguably the most decorated international tactician in attendance. The Frenchman won the African Cup of Nations with Zambia in 2012 and Ivory Coast in 2015. 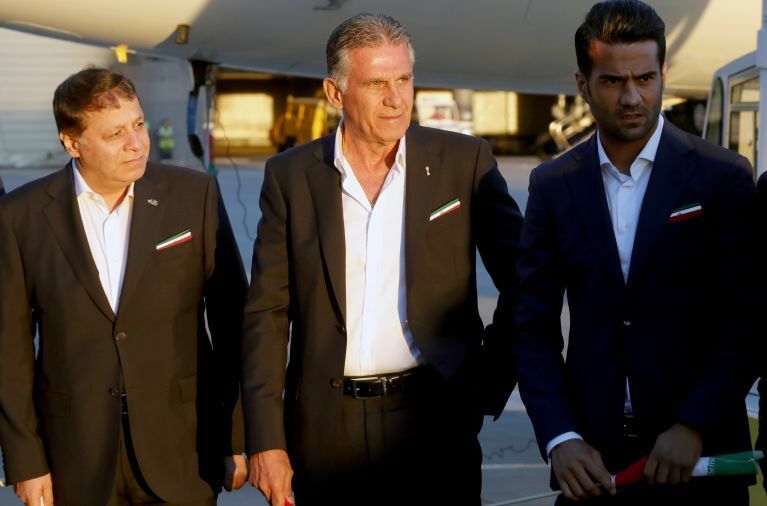 Carlos Queiroz took Portugal to the knockout rounds in 2010 without conceding against Ivory Coast, Brazil or North Korea. He then led Iran in 2014 as they shut out Nigeria and held out until injury time against Argentina. Forget the big names, this isn’t a vintage Spain squad. Isco is their star turn and, like Lopetegui’s replacement, this will be his first senior tournament. He isn’t used to the demands of carrying a top team either, instead being rotated regularly at Real Madrid. Then there’s the striker situation. They’ve picked three – Diego Costa, Iago Aspas and Rodrigo – but none of them have truly established themselves for Spain. Given all this uncertainty, there’s sure to be plenty of interest in the 11/2 for a Spain group stage exit.